Britt received her Bachelors of Science in Human Development from Brigham Young University. Her emphasis was in Child Development. She loves working with and teaching kids! Britt’s love for art started as a child watching her mom paint, helping her dad with his professional photography and visiting art museums from a young age. Britt began developing her art first as a photographer, and then began manipulating her photography in photoshop. Now Britt’s art includes sculpting, drawing, and painting, with her focus being acrylic paint. 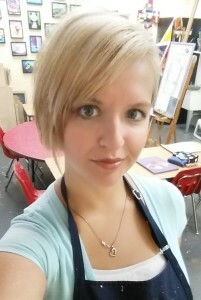 As a teacher of teen art classes, Britt’s greatest strength lies in encouragement. While learning artistic skills is a great result of her art classes, Britt really tries to build her student’s confidence in themselves and invites them to find the good in their own work rather than comparing themselves to other students. Anita studied painting in Canada under the instruction of Watercolour Masters Willie Wong and Marilyn Kinsella. In the United States she received instruction from Tony Couch, Robert T. Barrett, Robert Marshall, Don Seegmiller, Hagen Haltern, and Joseph Ostraff. Anita has received multiple awards for her work both locally and nationally. 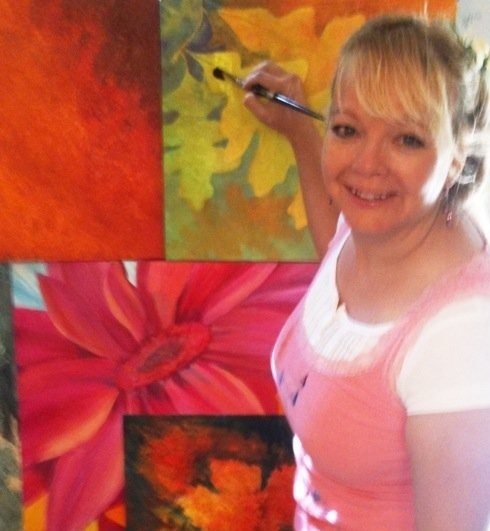 She has done corporate commission work for Flowserve and Great Wolf Lodge in Grapevine. Her work has been featured on book covers for Covenant Communications Publishing for both novelists Michelle Ashman Bell and Marilynne Todd Linford.